The first thing that grabbed my attention when I entered the field was the early morning moon. Later, a group of birders entered and slowly made their way around the edge of the woods. Not pictured: a yellow jacket that harassed me every 15-20 minutes. I painted the memorial in Scoville Park this morning using casein on Canson watercolor paper. Painted this old mill in gouache this sunny morning. 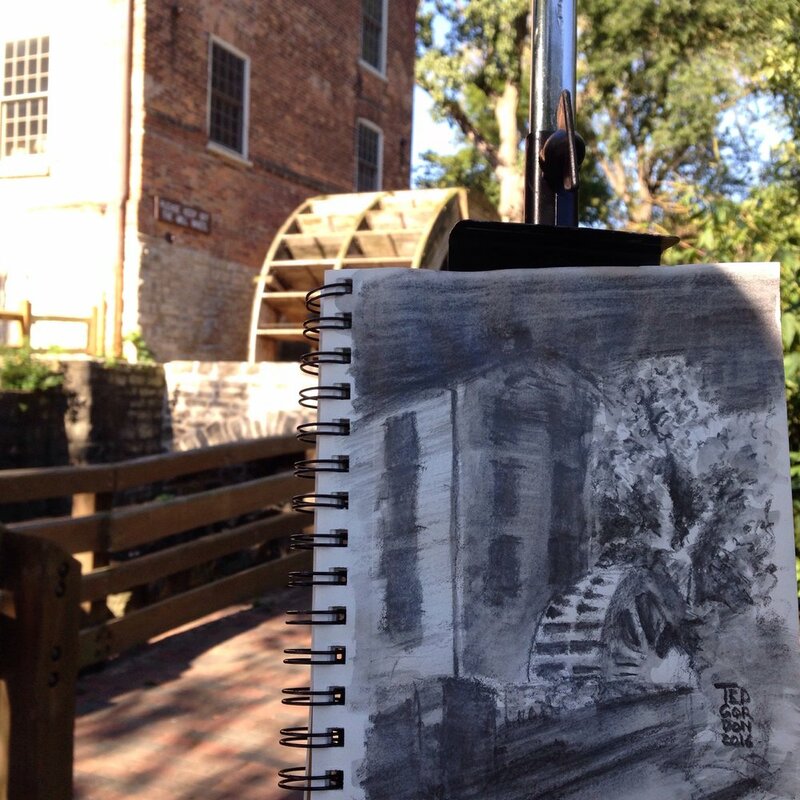 I began by making a smaller value study in water soluble graphite. I shared the space with these bees that were carrying huge amounts of yellow pollen. When they landed, light dusting a of pollen would spray off like particle effects. This fascinating old building could be demolished at any time. Before that happens, I went to paint it in person. 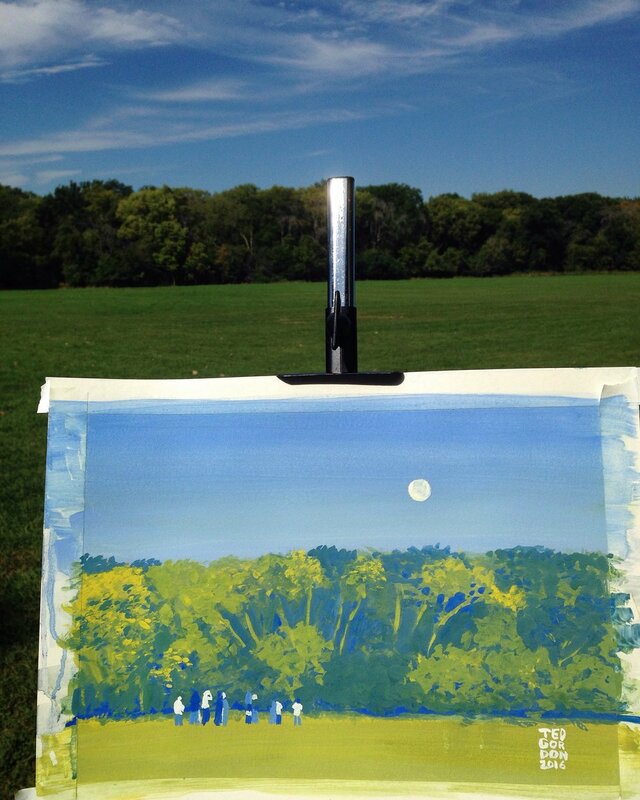 Thunderstorms were predicted, but instead I got a little sun while painting today in Chicago. I painted the famous sign at Wrigley Field this morning in oil. Another painter added foreground interest and helpfully masked construction that was going on in the Northwest corner of Addison and Clark St.
Work in progress shot of my Wrigley Field painting, with my fellow painter in the foreground. Included in this photo: friendly jogger checking us out as he went by. Not included: LOTS of folks in red shirts coming to Wrigleyville for the #MoustacheCrawl.